Investing in quality of life is the key theme of the agreement. This should result in more beautiful neighbourhoods and villages, with more greenery, space to meet and play sports, improved health and reduced poverty among residents. The coalition aims to increase personal ownership of residents and wants to strengthen the connections between organisations at both district and neighbourhood level. The new coalition has chosen the perspective of residents as starting point instead of the regulations and organisational structure of governments and bodies. That is why the coalition mainly aims to make integrated investments at the level of neighbourhoods, districts and villages. The four parties aim to increase the personal welfare of people through a combination of healthier and greener living environments and better support in the areas of income, work and care. Together with residents, knowledge institutes, social organisations, the business community and housing associations, the coalition aims to achieve improvements in living quality and welfare. The coalition ambitions are translated in five central tracks. Focusing on promoting a healthy population, with a particular focus on those who are vulnerable. The coalition aims to work with residents and organisations toward a poverty-free generation by breaking the cycle of poverty that is passed from parents to children. The child’s interests will form the starting point of social policy. A new approach for the 240 families who are confronted with an accumulation of problems will result in sustainable solutions and new perspectives. The coalition has chosen to supplement the inadequate national government care budgets. Creating more space for greenery, sports, and play will make a positive contribution to health and living quality. 100,000 m2 in public space will be added during the coalition’s coming term. Funds will also be made available for a considerable increase in trees and greenery. As part of the Inner City Vision, at least one million euros will be invested in greenery and trees will be planted on the Grote Markt. Investments in infrastructure will focus on reducing vehicle traffic within the ring road. This will be combined with the development of streets designed for living and cycling. To make better use of the scarce space, restrictions will be placed on the private use of public spaces, such as parking or displays, and investments will be made in new bicycle parking solutions. Aims to break through the negative spiral of poverty. Spearheads are talent development and activating people to participate in a form of work. A one million euro investment will result in more and improved support for those entitled to receive benefits and over 500 more people in employment. As part of the growth in employment opportunities, the aim is to ensure that work is available at all levels. The benchmark for jobs will be offering relevant work for a decent wage to people who have been unemployed for a long time. As drive for district and village renewal. Groningen is a leader in energy transition. This necessary energy transition drives innovation and the enhancement and restoration of districts and villages. The coalition has chosen for a social energy transition, in which the support base and affordability for residents are leading. In the coming four years, an extra ten million euros will be invested in energy, district energy plans, new heating services and in making the municipal fleet more environmentally-friendly. Thousands of homes will switch away from natural gas, starting with Paddepoel and Selwerd. Concerns investments in spatial and economic development, accessibility, health and greenery. Progression within the housing market requires new homes and a mix of homes for sale, social rented property, social homes for sale and average to more expensive rental properties. Via SIF (urban investment fund), over 100 million extra will be invested in housing and living environment quality and the development of new future-proof districts in the coming years. The coalition aims toward a compact city and compact villages. House-building development is mainly planned for the existing centres and on the Sugar Factory grounds and the City harbours (Eems canal zone). The ambition is to realise 30% social housing within the annual house-building programme. For more jobs at vocational and educational training level, investments will be made in partnerships between companies, education and government on themes including care, construction, technology and the energy transition. The coalition is continuing its projects for the station area and the Ring Zuid, and sees opportunities for connecting Vinkhuizen and Paddepoel via the Ring West projects. Additional funds will be made available for improved and sustainable educational accommodation. Sport and culture will also receive additional resources. The coalition is choosing to invest in living quality and quality of life: more greenery, more public spaces, more work opportunities, less poverty, good housing and services. Cuts and increased tax and rate changes are necessary to enable such investment. These changes will be borne as much as possible by those residents who are best able to afford this or by those who have profited from the economic upturn. Charging for the use of scarce public space will create more space for investments in living quality. 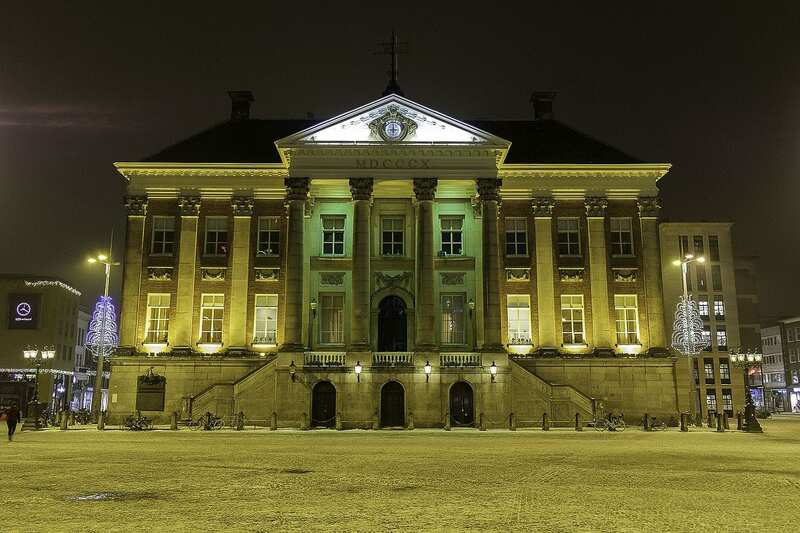 Who makes up the city council of Groningen? Mayor Peter den Oudsten: General Affairs, Public Order & Safety, External Relations & City Twinning, Regional Cooperation, Municipal Archive, Coordination of Agreement for Groningen, City Maintenance, Media, Strengthening & Repair*, Groningen Airport Eelde, Chair of Revitalising the Town Hall Steering Group. Alderman Mattias Gijsbertsen (GroenLinks): Connecting the Social Domain, Care & Safety, Youth & Youth Care, Public Health, Income & Debts, Protected Living & Shelter, District Alderman East. Alderman Roeland van der Schaaf (PvdA): Spatial Development, Housing, District Development, Strengthening & Repair, Land Issues, Social Property, Revitalising the Town Hall, District Alderman Centre. Alderman Paul de Rook (D66): Finances, P&O, Public Services, Economy & Innovation, Market Authorities, International Trade & Cooperation, Tourism & Recreation, Culture, Area-oriented Working & Democratic Innovation, District Alderman West. Alderwoman Inge Jongman (ChristenUnie): Care & Welfare, Village Policy, Agriculture, Nature, Ecology & Animal Welfare, Sport, District Alderman Ten Boer. Philip Broeksma (GroenLinks): Traffic & Transport, Energy Transition, Digital Innovation & ICT, Village Alderman Haren. Alderwoman Carine Bloemhoff (PvdA): Education, Work & Participation, Labour Market Policy, Accommodation Policy, District Alderman Old Neighbourhoods. Alderwoman Glimina Chakor (GroenLinks): City Management & Cleaning, Greenery & Climate Adaptation, Sustainability & Circular Economy, Purchasing, Integration & Emancipation, Illiteracy, Accessibility, Events, District Alderman South.